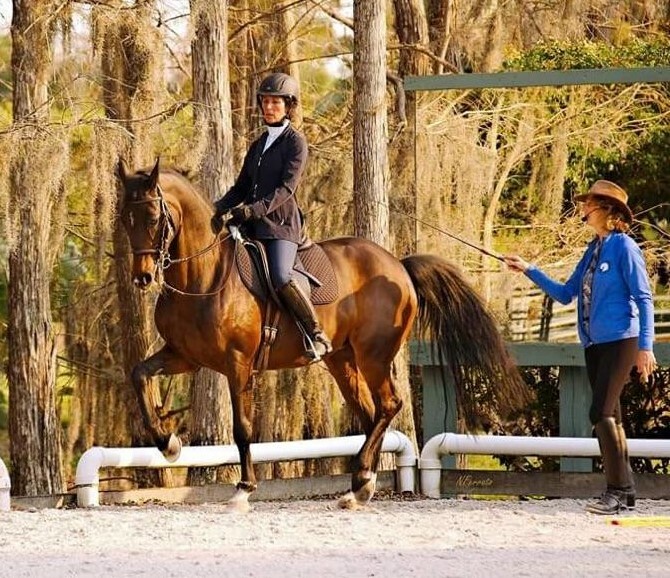 A two-day workshop at High Meadow Farm at White Fences Equestrian Estates in Loxahatchee, Florida brought together two of the world’s leaders in the teaching and training of the French system of riding. 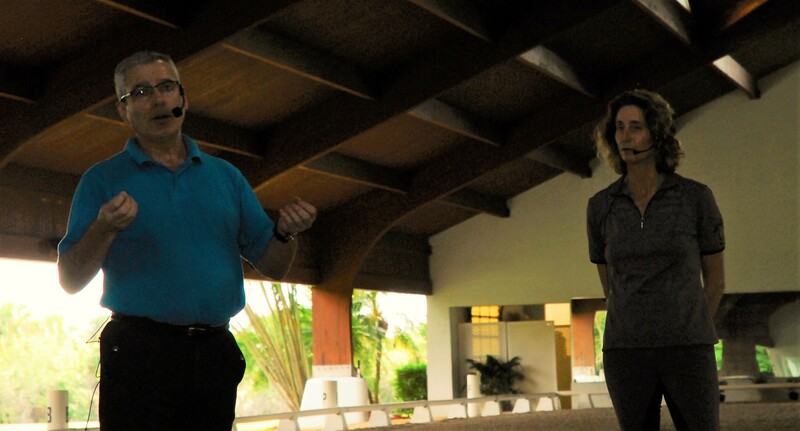 The workshop, held February 4-5, featured Colonel Patrick Teisserenc, current écuyer-en-chef of the French National Riding School in Saumur, France, and Bettina Drummond, highly regarded in both the U.S. and Europe as a trainer and teacher of the French classical and Baucheriste system. 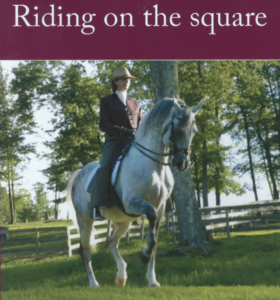 The workshop, which focused on providing education to professional riding teachers and trainers, especially those working with average riders and horses, attracted riders and trainers from across North America, with many traveling from as far as the West Coast. “Teachers need support and one purpose here is to help teachers learn to connect to and teach adult amateurs,” said Drummond, who credited Maryal Barnett, a U.S. Dressage Federation Lifetime Achievement Award recipient and workshop attendee, with helping her understand how to improve her work with competitive adult amateur riders. 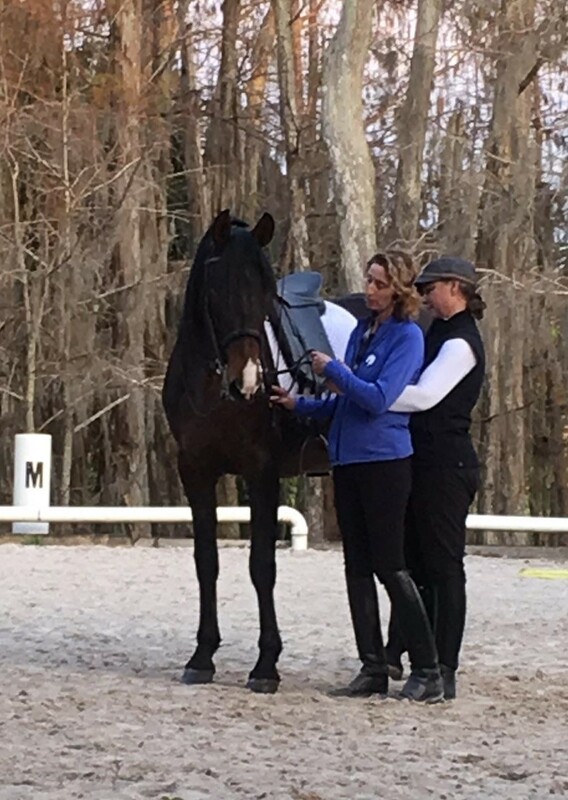 Throughout the two-day event, Teisserenc and Drummond shared their approaches for developing both horses and riders and their methods for teaching. 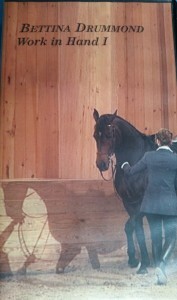 They did this through demonstrations using horses at various stages of development and from both dressage and jumping backgrounds. 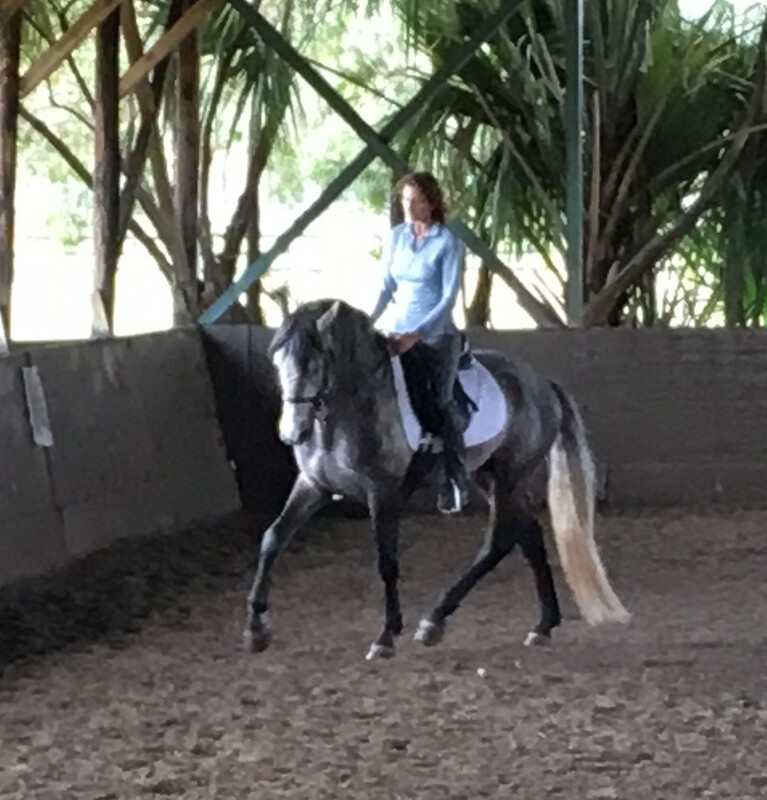 Often, Teisserenc and Drummond tag-teamed the demonstrations in order to share their unique approaches for addressing issues in horses or riders and to explain to workshop attendees the “why” behind their methods and techniques. 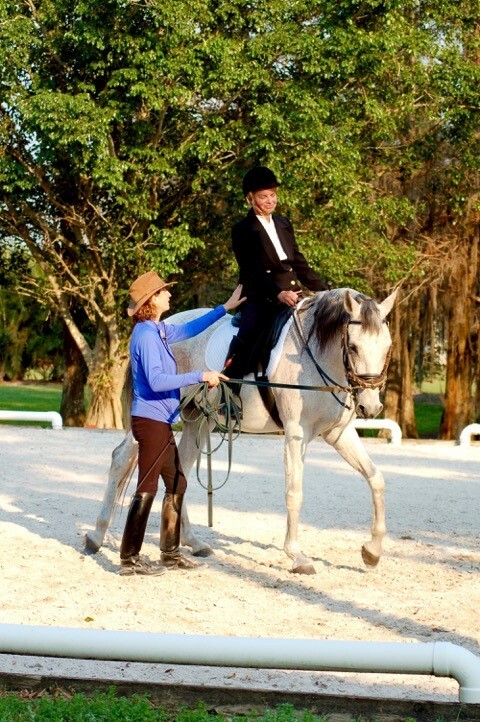 Working together, the two sought to help participants not only understand the meaning behind such concepts as balance, lightness and suppleness but also understand how they might attain balance, lightness and suppleness in horses through use of the aids and various movements and exercises and then help their students to do so. Bettina working with Julie Arkison and Soledad. With Oso in preparation for the February 2017 workshop.